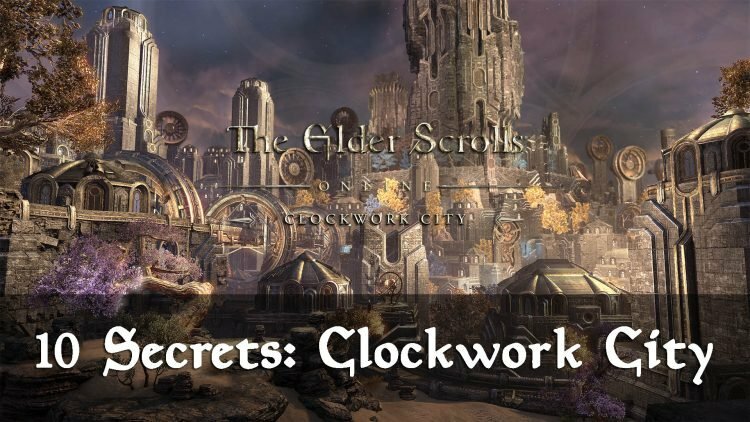 Explore Elder Scrolls Online newest Zone, The Clockwork City, and check out the 10 secrets you likely missed while in the Clockwork City, the Mechanical Realm of Sotha Sil. This is aimed for those who have completed the content and may have missed stuff, so spoilers ahead! Blackfeather Court Tributes – Unlock by finishing the main quest for the crows, and then go around pickpocketing and looting random things. Clockwork Apostles – Find and complete quests for The Shadow Cleft and The Halls of Regulation. 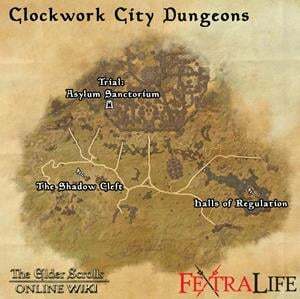 Find The Shadow Cleft, a delve that is actually not within the Clockwork City but rather taking you to Nocturnal’s realm of Evergloam. There are actually two locations where this happens, once here and once for the World Boss Exarch’s Egress. 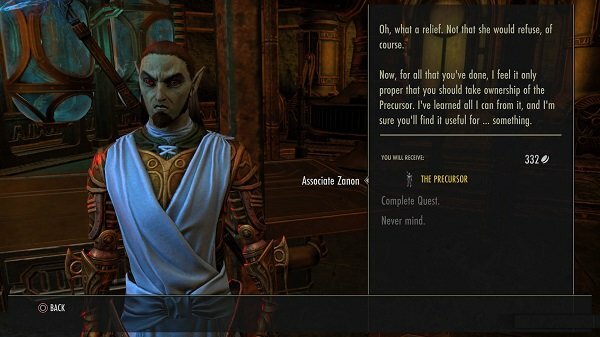 A special quest called “The Precursor” initiates a hidden treasure hunt across all of Tamriel, that results on the Achievement and Trophy “Precursor Maker“. You must find Associate Zanon or pick it up from a notice board by the Basilica. Follow the steps and you’ll eventually have to visit a variety of dwemer ruins across Tamriel to gather all of the parts. It turns out the Apostles are not impressed by the construct, so Zanon gifts it to you instead. Bonus: You can get one of these per character you have! This particular daedric artifact has seen its share of action in the Elder Scrolls World. In fact, it’s not a creation for this specific storyline, but a recurring object from Morrowind, Oblivion and even Skyrim. Thus, Sotha Sil charging Divayth Fyr with safekeeping of the key is “History” in Elder Scrolls. You can acquire a housing item called “Skeleton Key Replica” that looks exactly like the real thing. Obtain it from the Brass Fortress by talking to the Achievement Furnisher after you have completed “The Burden of Knowledge“. It costs 7,500 gold. The Feather Court is also a returning theme, this time from a Group Delve that you may or may not have completed in Stonefalls. The Crows address you as such if they “know you”, as you must have befriended their cousin tribe at Crow’s Wood to complete its quest. YOU: Have you ever seen something like this before? YOU: So someone sent out clockwork hounds? After finishing the Main Quest, you’ll be asked to meet Sotha Sil at a shrine that he has built. Talk to him extensively at this location, and you’ll find insight into what he knows of what is to come. He explains he does not admit Godhood, and believes Vivec to be a benevolent liar as he is simply enjoying the ride. But he warns that Almalexia has dangerously fooled herself into belief of her own fantasies. 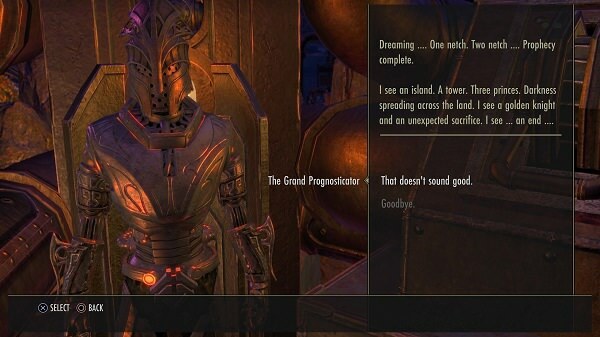 This specific exchange is significant if you know that, later in the story of Elder Scrolls, Almalexia goes mad and murders Sotha Sil within the Clockwork City itself. YOU: Who are you really? / I stand ready. Can you at least tell me who you are before you go? Who you are really? Sotha Sil: “You expect something grand, but I promised you the truth. YOU: But you’re supposed to be a god, right? Sotha Sil: “I am whatever the people need me to be. A guardian. An oppressor. For some, too distant. For others, too meplesome. I am the canvas upon which they paint their dreams and resentments. A vessel for their hopes and doubts. YOU: If you believe that, why even call yourself a god? YOU: What are your feelings on Almalexia? / What about Almalexia? Sotha Sil: “Almalexia defies simple analysis. I doubt she could even describe herself accurately. Sotha Sil: “Vivec knows the boundaries that separate fact from fiction. He knows them so well that’s he’s learned how to break them. He exists inside his verse, but recognizes the lies. The contradictions. YOU: How is Almalexia different? YOU: Does that bother you? Sotha Sil: “Not in the slightest. YOU: What do you think of Vivec? / And what about Vivec? YOU: What are his struggles? 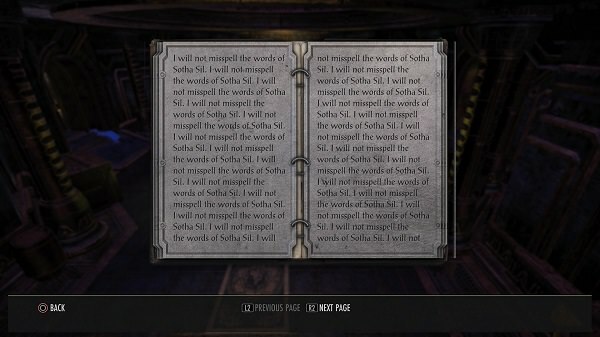 Sotha Sil: “Regret. We are bound by that at least. Sotha Sil: “Yes. A poet’s despair. YOU: And that’s not enough? To be a god hero? If you have completed all the quests, including the side quest Cogs of Fate, travel to the “The Grand Prognosticator” and provide him with the passphrase that you have learned from your travels and quests. He will deliver clues of what’s to come next for you, and it sounds pretty gloomy but hints we are going to the Summerset Isles next! You will earn the Fortune and Fate achievement / trophy. Prognosticator: “By the word of Seht, I am bound. YOU: Prime sequence eleven, thirteen, seventeen. Prognosticator: “Initializing… reflecting… reflecting… unauthorized prophetic element engaged. Prognosticator: “Wealth and social analysis complete… Indicates a level of income and status reserved for merchant lords, nobles, and royalty. Connection to organized crime also likely. Prognosticator: “Dreaming… One netch. Two netch… Prophecy complete. YOU: That doesn’t sound good. YOU: So there is a way to change the future. Prognosticator: “A chance… Lord Seht and the Three willing. And that concludes our tour of the Clockwork City! If you’d like one more thing to do, make sure to do the new trial Asylum Sanctorium as it’s very accessible on normal. This Clockwork City Trophy & Achievement Guide should come in handy! Also here’s a list of all Clockwork City Skyshards and all Clockwork City Quests. If you love secrets, read our Grahtwood Secrets article, our ESO Sets Guides or find out why, after 3 years, I’m still addicted to Elder Scrolls Online. What if you’re playing on a character that doesn’t have any of the other world area open? 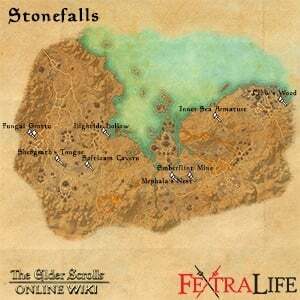 You can only fast travel to the wayshrine at the starting area, so does this mean you basically have to ride your mount through all of them, picking up wayshrines along the way? ***For collecting the dummy parts, I mean…. For a very occasional ESO player (no higher than 300CP for long months) : Is it worth buying this DLC? Like: Would it have great impact on my gameplay and core content to experience? All DLCs are completely optional and unnecessary if you haven’t finished the main game, as there’s so much content to complete! But you may find it enjoyable if you are a particular fan of the concept of the Clockwork City. My recommendation is to get a month of VIP, which allows you to stockpile lots of materials in your craft bag, and gives you immediate access to all DLC (except Morrowind). You would then be able to complete Clockwork City, Thieves Guild and Dark Brotherhood within a month of light playing. Orsinium is a bit large so depending on your mileage. I have couple of these DLCs since I’m on gold edition anyway. But the suggestion of VIP is interesting, didn’t think if it. Thank you! 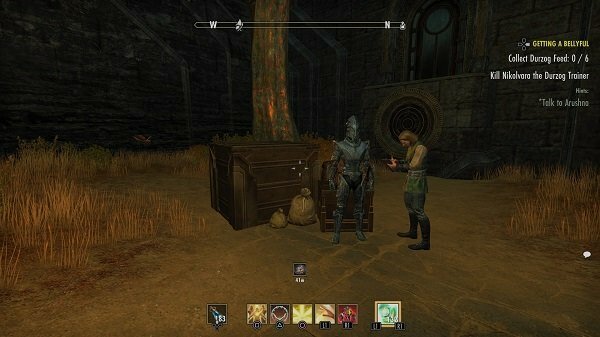 Definitely think eso+ is worth it, if not for anything other than the craft bag and double bank space it gives you because I actually started playing ythe game with no membership and spend half my time dealing with bag management because everything you pick up while running around it is hard to not have a full bag even with the craft bag so I couldn’t imagine playing without it again lol. As for the dlc stuff I have only been playing a few months so I haven’t gotten a chance to get into any of it really since there is so mych to do in the base game. Depending on what your goal playing the game is that also will determine if u you want join eso+ rather than pay money for expansions when they do come out. Plus access to all the DLC, minus Morrowind of course is great. Also you get 1500 crowns per month of ESO+, which adds up really quick.